Over the next few months, we will be interviewing professionals who work with the hoarding population. We are asking them to share their insight on people who hoard and people who think they have the hoarding disorder. Our first interview was with Judith Kolberg who has been a professional organizer for over 30 years. In 1989, Judith founded the National Study Group on Chronic Disorganization, which would later become The Institute for Challenging Disorganization (ICD). Besides being an experienced organizer Judith is also an Organizing Industry Thought Leader, Squall Press Publisher and book coach. I have taken quite a few classes on hoarding and chronic disorganization and have taught a few as well. I feel that education is very important if you are working with people with chronic disorganization or possible hoarding disorder. 2. What percentage of your clients do you suspect have hoarding tendencies? I am deliberately working with less of this population but in the past, I would say 25% to 30%. 3. Have you ever worked with clients who have had a hoarding diagnosis by a psychiatrist? Yes, a couple of times. There was never a referral from the psychiatrist, but the diagnosis had been made. 4. 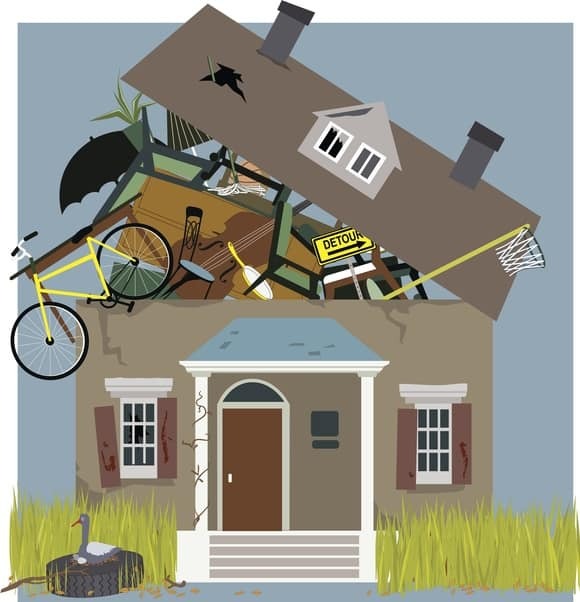 As you start working with clients, are there times you discover this is something other than hoarding disorder? Never. The amount of clutter may be overestimated or underestimated and very often there may be other things going on along with the hoarding disorder but when I am called in to assist on a potential hoarding job, there has always been that tendency present. 5. Do you usually work alone or with a team? I always start off alone. I take time to acquaint the client with the process we will follow and to build trust with the client. I let the client know from the beginning though, that there will be a team working on the project when the time is right. The members of the team are flexible as the need arises. 6. Have you ever walked away from a project? Yes, I will not take on a project if the client can’t agree to the system or the parameters that are needed to move the project forward. 7. Do you have a shareable list of resources for families or other people working with hoarding disorders? I have had great success with Steri-Clean – and locally in Georgia with Rhonda Chance of Atlanta Forensic Cleaning. 8. Do you have any books or articles that you have written that you would like to share? In What Every Professional Organizer Needs to Know About Hoarding there are some very practical forms. The book also gives help with understanding processing issues. And because the digital world can become overwhelmed with clutter, Getting Organized in the Era of Endless is a useful resource.